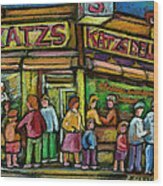 Katz's Deli is a painting by Carole Spandau which was uploaded on January 15th, 2010. 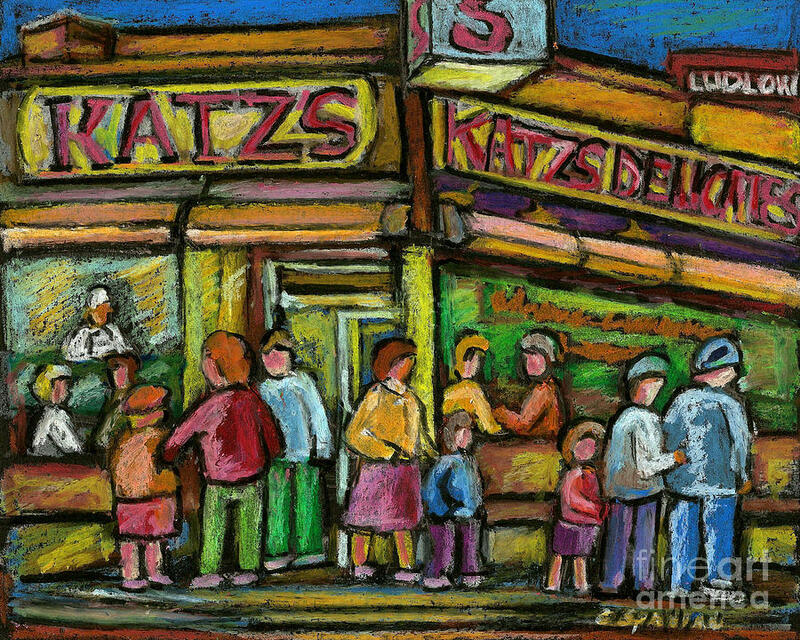 This Pastel Painting is by Montreal's Premier Street Scene Art Specialist Carole Spandau BFA BED. She has over 45 years painting experience, Immortalizing on canvas instantly recognizable beautiful and classic city scenes. From the1970s to today,she has been commissioned through 5 decades by discerning local clients and international art collectors to paint Personal Family Portraits,Charming Cafes,Historic Banks,Quaint Shops,Speciality Boutiques,Interesting Storefronts,International and local Restaurants,Churches,Colorful Corners,Hockey scenes,Montreal Memories and Laudable Landmarks from all over the various boroughs. Artist Nandika, thank you for your comment. Sunil, thank you for you comment. 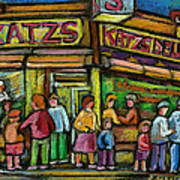 Thank you Ed, and yes Katz's Deli is a great and fun place to paint. Thank you Juergen and Sharon for your congrats on this print sale!